Summer Mist is an all Natural Perfume (Eau de Toilette) made with pure essential oils and perfumer’s alcohol. 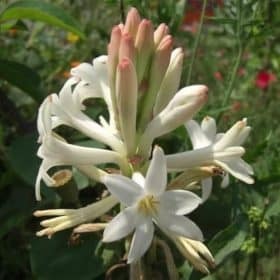 Summer Mist Natural Perfume has the wonderful floral aroma of Gardenia with a hint of fresh lemons and oranges. 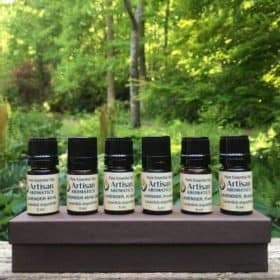 Summer Mist is an all Natural Perfume (Eau de Toilette) made with pure essential oils and perfumer’s alcohol and has the wonderful floral aroma of Gardenia enfleurage with a hint of fresh lemons and oranges. 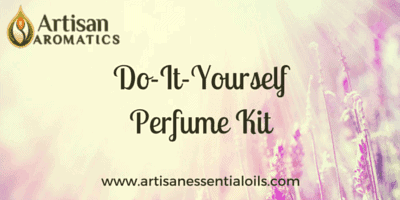 This all natural perfume is based on a formula by clinical aromatherapist Dr. Joie Power and contains no artificial or synthetic ingredients. 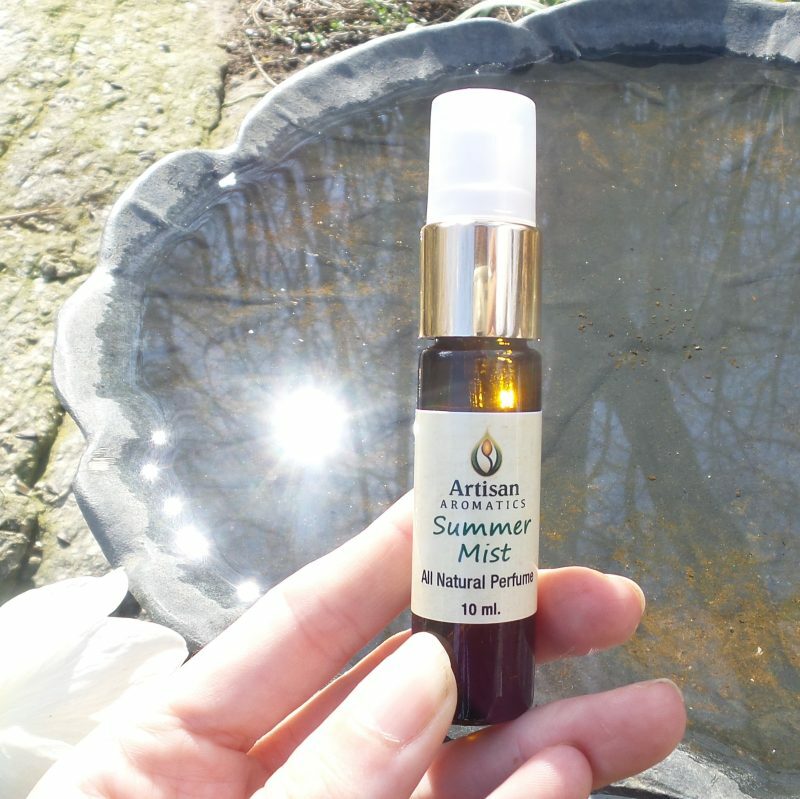 Summer Mist comes in a 10 mL amber glass spray bottle. 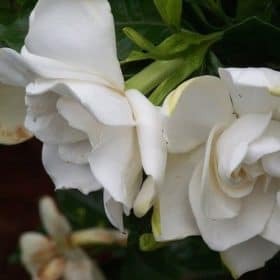 Summer Mist contains pure Essential Oils including Gardenia, Helichrysum, Jasmine, Lemon, Lime, Mandarin, Neroli (Orange Blossom), Rose and Sandalwood blended in Perfumer’s Alcohol. 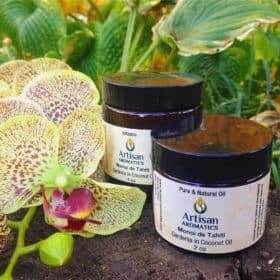 Summer Mist is hand made by the folks at Artisan Aromatics. Summer Mist perfume offers a wonderful, delicate floral aroma with a hint of citrus – a modern version of an old classic. Spray on pulse points for gentle fragrance that lasts for hours. A 100% Natural Perfume is a rare find. 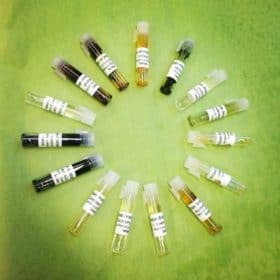 These days, most perfumes are completely synthetic, made up of fragrance oils, and not pure essential oils like ours. 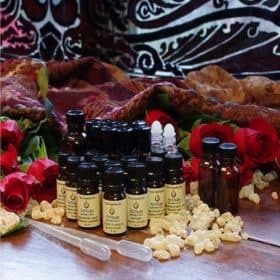 Many of our Essential Oils are quite rare, exotic, and expensive.